September 26, 2012- Twin Peaks, CA: The 2012 Ultra4 Pro Series Championship began with the 2012 Griffin King of The Hammers and ended with the 2012 Ultra4 American Rocksports Championship last weekend in Tooele, Utah. More than 50 drivers from 20 states competed for a chance to be named the 2012 Ultra4 Pro Series Champion. Ultimately, Ultra4 veteran and short course champion, Brad Lovell, would claim the title. The 2012 Ultra4 Pro Series Championship consisted of three races. Each race was meant to highlight the unique characteristics and strengths of Ultra4 cars. The three races for this year’s series were: 2012 Griffin King of The Hammers, which emphasized high speed desert racing, endurance and rock crawling, Best in the Desert’s Vegas to Reno; a 500+ mile race through the Nevada desert that tested both cars and drivers endurance, and The American Rocksports Challenge which combined short course racing and rock crawling with multiple cars competing simultaneously in a series of heat races. 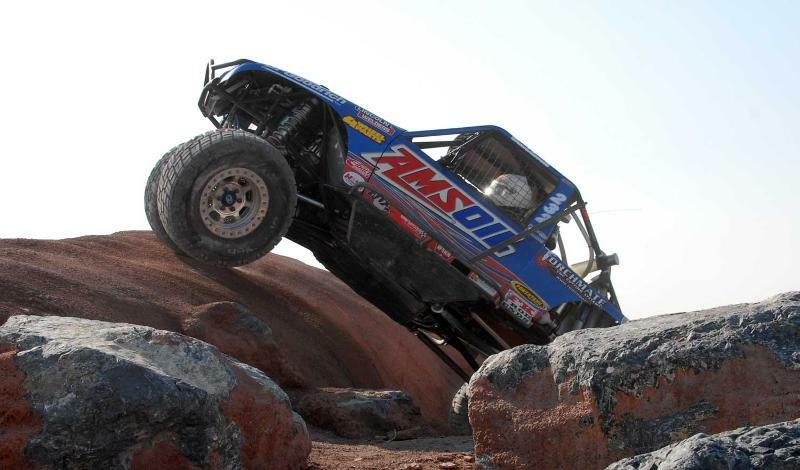 The Pro Series is not the only championship up for grabs for Ultra4 drivers in 2012. The Nitto Tire National Championship will be taking place in Blackwell Texas November 9th and 10th. Drivers from the Trail Gear Western Regional Championship will meet up with Ultra4 drivers from the 4WD Hardware Eastern Regional Championship at the PSC Brawl in Blackwell to determine who will claim the 2012 Ultra4 Nitto Tire National Championship. Currently, Nick Nelson sits atop the leader board for that race. Trophies for both the Pro Series and the Nitto Tire National Championship will be given out at in Blackwell, TX.